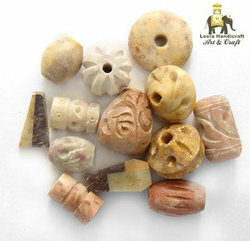 Natural Soap Stone Beads all varieties are available in various Designs. In house manufacturing. Soapstone beads are hand-carved by skilled artisans, then drilled top to bottom for stringing. Soapstone is a soft, easily-carved material that comes in a variety of mixed natural colors. 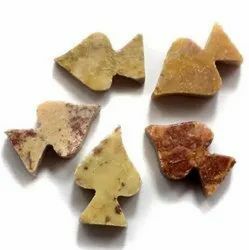 Soap stone beads and available in different colors & shapes. They are used as exfoliators for various types of soaps. They are make the products very appealing and are gentle on the skin and are preferred exfoliant for those with nut allergies. Soapstone Beads are hand carved beads on soapstone, each bead is carved to perfection by our craftsmen.